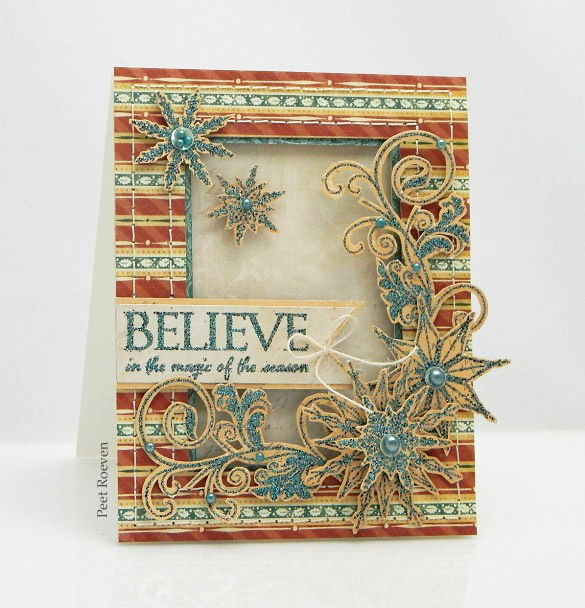 30-311 Soft Grace, 30-309 Filigrees, 30-310 Believe transparent stamp sets. 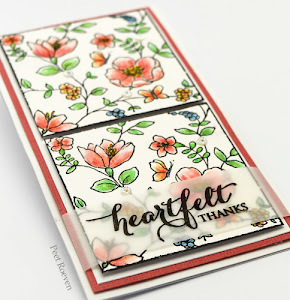 Embossed with Vintage Peacock embossing powder from WOW. 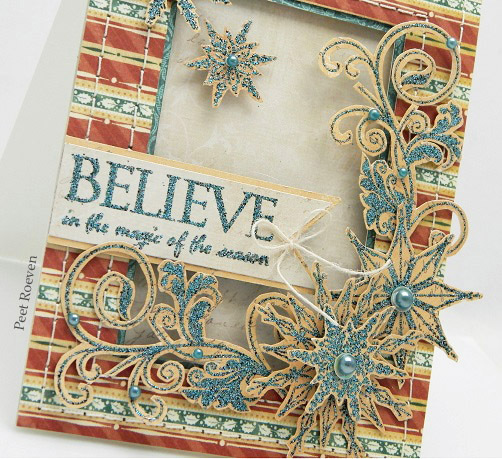 Christmas Carol papers from Graphic 45.
to see wonderful holidays tags all this week! 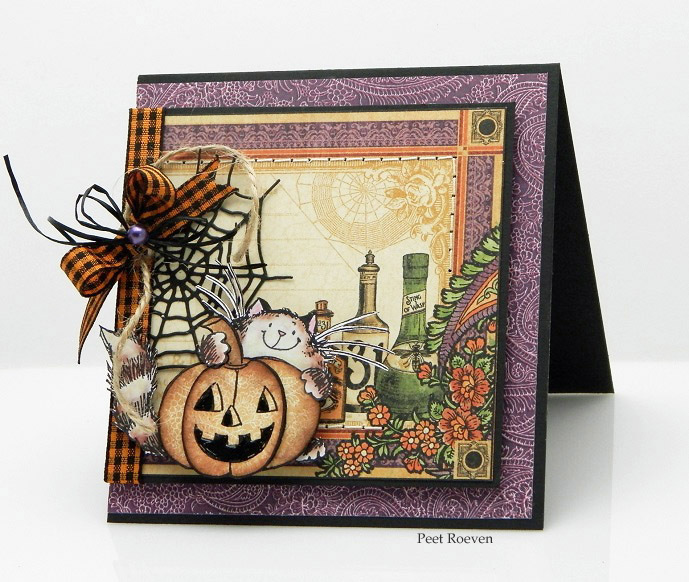 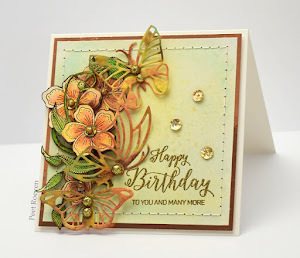 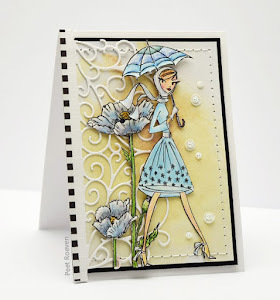 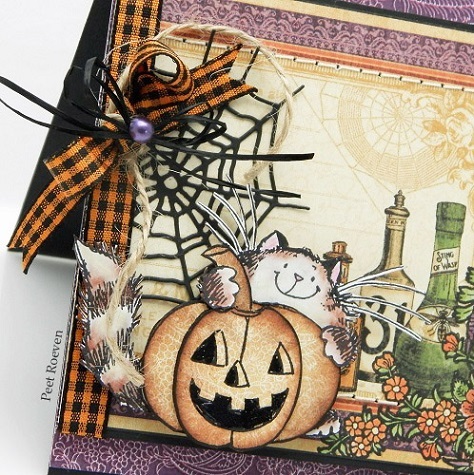 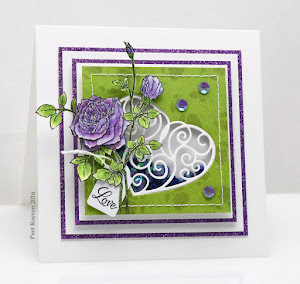 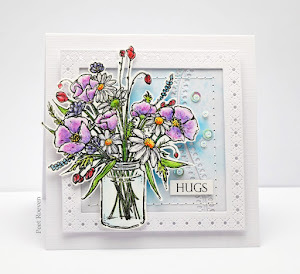 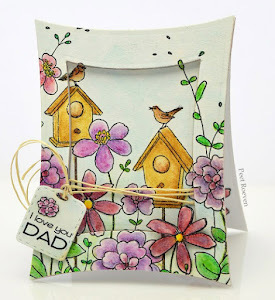 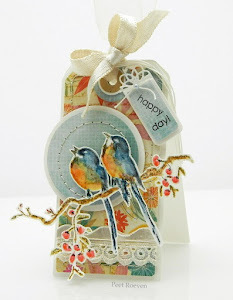 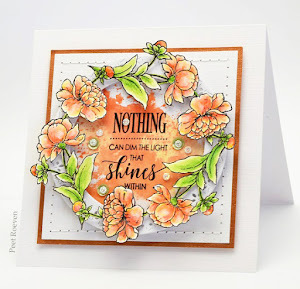 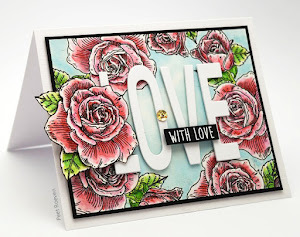 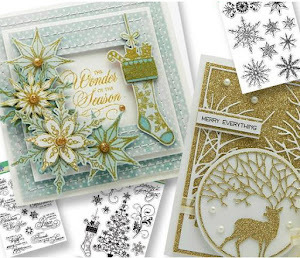 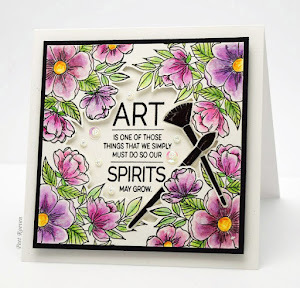 Penny Black Supplies: 30-318 Bewitched transparent stamp set & 51-076 Spider's Internet creative die. 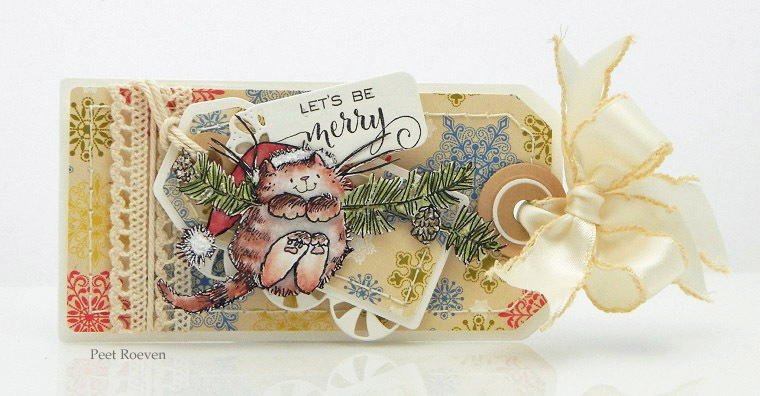 Other: Faber Castell Polychromos Pencils, Pearl, Gingham Ribbon, Twine, Glossy Accents.